 If you long for a beautiful smile but do not want to wait a year or more for traditional orthodontics to reshape your natural teeth, Houston cosmetic dentist Dr. Scott Young may be able to provide you with an instant orthodontic solution in as little as two appointments. Irregularly shaped, discolored, and misaligned teeth are very common. With the help of cosmetic dentistry, corrections can be made to your existing teeth quickly and effectively, leaving you with a bright, well-aligned smile in a very short time. Not everyone is a candidate for instant orthodontics, but it’s a great option to consider if you are looking to straighten your teeth. To learn whether instant orthodontics can help you get the beautiful, straight smile you desire, please call 832-610-3123 today for an appointment at Scott Young, DDS. The most obvious benefit of instant orthodontics is that it’s faster than traditional orthodontics. Traditional orthodontics relies on your body’s ability to remake bone around your tooth roots, which takes time, but with instant orthodontics, we’re just reshaping the visible portion of the tooth, leaving the root where it is. And because the tooth root isn’t moved, there’s no tendency for the teeth to drift after treatment. Most people who get instant orthodontics don’t need to wear a retainer to maintain results. It’s unfortunately common for people to straighten their teeth and realize that they’re still unhappy with their smile, because crooked teeth were only part of the problem. Once their teeth are straight, they realize how important discoloration and variations in shape and size are to the appearance of their smile. With instant orthodontics, we can correct those at the same time, giving a beautiful smile with just one procedure. Cleaning your teeth around wires and brackets can be a challenge, and it can lead to cosmetic or even health problems due to decay or demineralization. Even with Invisalign, extra care has to be taken to protect teeth from decay and periodontal disease. But there are no such problems with instant orthodontics. The term instant orthodontics refers to a cosmetic dentistry procedure that can quickly fix imperfect teeth. Dependent upon your personal needs and desired results, instant orthodontics typically includes porcelain veneers with the possible inclusion of dental crowns. Veneers are comprised of a wafer thin layer of porcelain, shaped according to your requirements, and bonded to the front of your teeth in order to restore a damaged surface or improper shape. Dental crowns may cover the entire tooth, and are effective in situations when teeth are badly damaged or decayed. Together, these procedures successfully repair or cover damage, merge unsightly gaps, and provide a brighter, smoother and more uniform appearance. Not only does instant orthodontics provide a quick solution to improve your smile aesthetically, the results appear natural and are durable and lasting. How Does the Instant Orthodontics process work? The instant orthodontics procedure includes the initial assessment stage and the procedural stage. During your assessment, a thorough examination of your existing teeth and oral health will be performed. Dr. Young will then discuss your desired goals with you in detail and come up with a detailed treatment plan. Dr. Young will take impressions and measurements of your teeth. As necessary, your teeth will be prepared to receive restorations, which may involve removing some natural teeth material. How much is removed depends on the current location and shape of your teeth. During your second appointment, also the final stage of instant orthodontics, the custom created porcelain veneers will be bonded to your existing teeth using dental resin. This process will correct any disproportionate shapes or previous alignment concerns. In addition, the porcelain finish will brighten your smile and won’t become discolored over time as natural teeth do. The result will provide your desired smile, bright and beautiful, in just two appointments. To find out more about instant orthodontics in Houston, Texas, please call 832-610-3123 or contact Scott Young, DDS to schedule a consultation today.